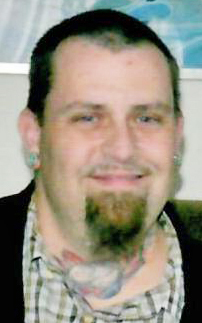 LISBON — Charles Louis Bailey, 44, died Wednesday at his home. Born Jan. 24, 1974, in Salem, he was a son of Linda D. (Shoop) Reynolds and Charles G. Bailey. Mr. Bailey worked at Fox’s Pizza in Lisbon. He was a member of St. Stephen’s Episcopal Church in East Liverpool. In addition to his mother of Lisbon and his father and step mother, Lynn Bailey of East Liverpool, he is survived by three children, Shaquille (Tristan) Bailey, Michael (Kandace) Bailey and Parker Bailey, all of Canton; three sisters, Valerie Lynn (Justin) Duffy of Lisbon, Catherine (Daniel) Carreto of Reynoldsburg and Kasey (Dale Patton) Bailey of Newell, W.Va.; a brother. Gregg (Tara) Bailey of East Liverpool; a stepsister, Shirley (Seth) Powell of Claxton, Ga.; two stepbrothers, Daniel Reynolds of East Liverpool and Steve (Rhonda) Reynolds of Reidsville, Ga.; and three grandchildren. He was preceded in death by his stepfather, Larry Reynolds. A memorial service will be held at 1 p.m. Sunday, Jan. 13, at St. Stephen’s Episcopal Church with the Rev. William Pugliese officiating. Arrangements are handled by the Weber Funeral Home. View this obituary and leave condolences at weberfh.com.